Chances are that you've been using your microwave just to nuke leftovers, but they can do so much more than heat up last night's dinner—microwaves can help you peel garlic more quickly, get more juice out of lemons, disinfect your kitchen, dry out herbs, give beauty products new life, cause exciting explosions, and even arc weld. The key to maximizing your microwave oven's usefulness is knowing how to use it properly—yet some common assumptions about what can and can't go in your microwave are dead wrong. As Sci-Tech CERN explains, microwaves send radio waves that agitate the water molecules in your food. They start to vibrate and emit heat, which is what causes your food to cook. 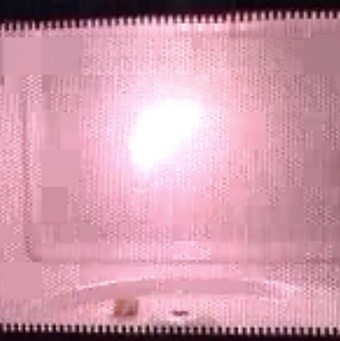 Unlike a conventional oven, where the heat must travel from the outside towards the center of the food, all the particles in your microwaved food are vibrating at the same time. Radio waves can pass through plastic, glass, and ceramics, but metal reflects these waves back. As it turns out, you can heat some kinds of metal in the microwave if you know what you're doing. Since metals are electrically conductive, they can cause fires when put in your microwave. As The Kitchn puts it, "When enough electrons build up, an arc can jump between the metal and the electromagnetic transmitter [the magnetron]. This is what creates that mini lightening show in your microwave!" So you don't need to freak out if you mistakenly leave a spoon in your soup bowl as you heat it up. 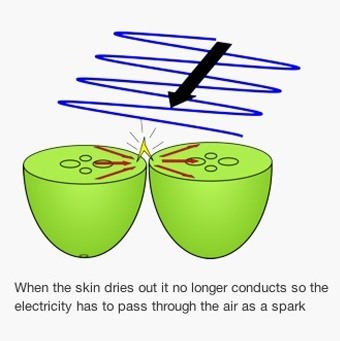 Being inserted in food or water will interrupt the build-up of electrons. If you microwave a spoon by itself, you're going to get some electrical spark or discharges (and might cause a fire, to boot). Is Aluminum Foil (AKA Tinfoil) Okay? Tin foil can actually help you cook food more efficiently in microwaves, if you're careful about the shape and amount. But why do those two factors matter? Physics, my friends. 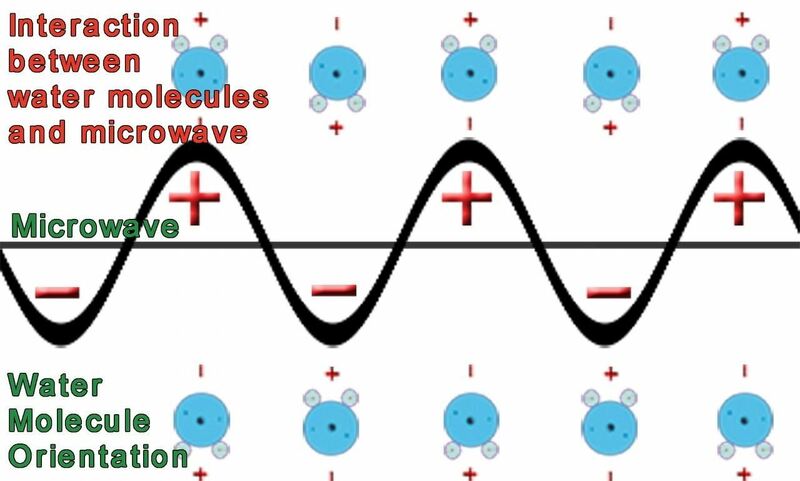 Those radio waves a microwave emits makes electrons get excited, and electrons cause negative charges. On a piece of tin foil, which is thin, those electrons make aluminum atoms bang into each other, which causes heat and sparks, which then lead to fire. Crinkled pieces of tin foil are more likely to be overwhelmed by the currents of energy in a microwave since they have more irregular edges for electrons to bounce off of. Ditto forks: if you microwave a fork, the sharp tines and multiple edges mean that electrons gather along all those surfaces, bang into each other, and arc, which, again, lead to fire. "But what about Hot Pockets?" some of you are saying. Those go in the microwave and the "crisping sleeve" has metal in it. Yes, exactly. The manufacturer takes advantage of the nature of how foil reacts in a microwave by including a small amount in the wrapper. The foil is also flat, which prevents arcing. And the foil is such a tiny component that it will heat up in the amount of cooking time and release just enough heat to help the Hot Pocket cook evenly and completely (yet another reason it's important to follow the instructions on the box). 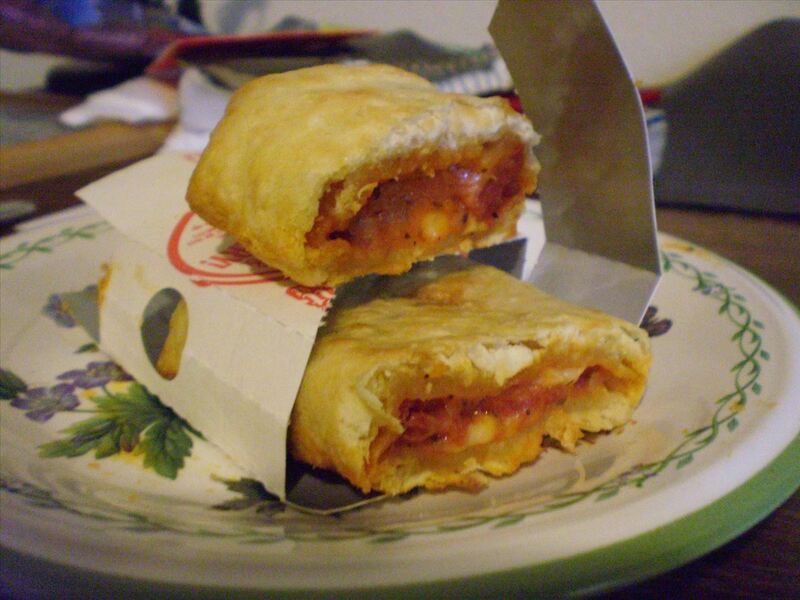 You can read more if you're really curious about the physics of Hot Pockets. Colorado State recommends that you heat up potting soil, i.e. pasteurize it, before using it for plants. That way, you'll be sure that the soil is free from harmful bacteria, pests, plant diseases, and any remaining weeds and their seeds. Just make sure the dirt is moist, not dry before popping it into the microwave! UC ARN has a good guide here. Find yourself stuck with a dried-out tube of mascara? Microwaving the tube beside a cup of water can reinvigorate it and save you from having to buy more. 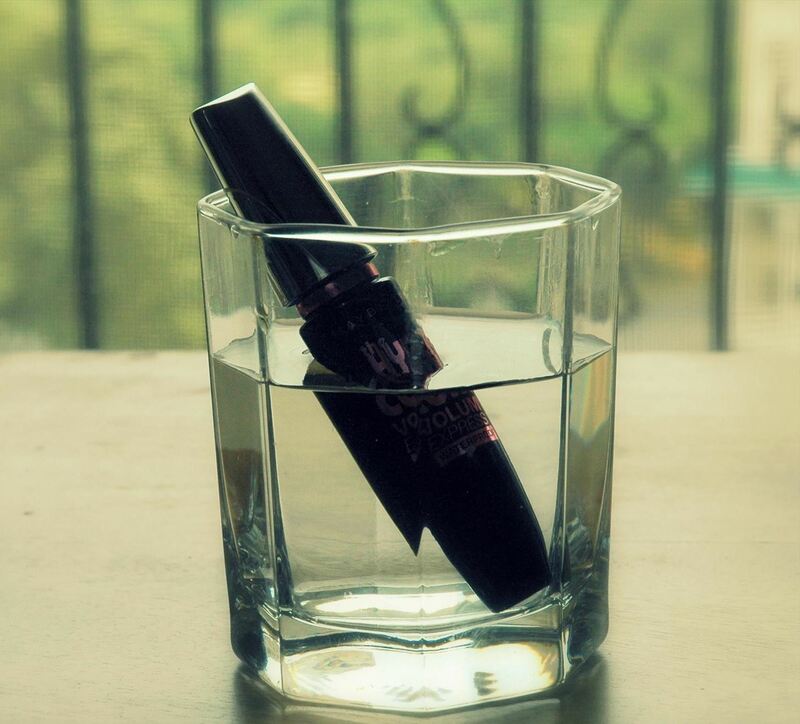 The cup of water helps dissipate the energy from the microwave so your mascara won't explode. And be sure to crack open the tube before heating it up to really be on the safe side. Do not add water directly to the mascara tube and pump the wand to mix it. That's a surefire way to introduce bacteria into the tube and give you an eye infection. Alternately, you can heat up (but not superheat—read on for more about that) a cup of water in the microwave and then put the tube of mascara in the water to soften it up. Miss Natty's Beauty Diary and Southern Girly give detailed instructions on how to do so. 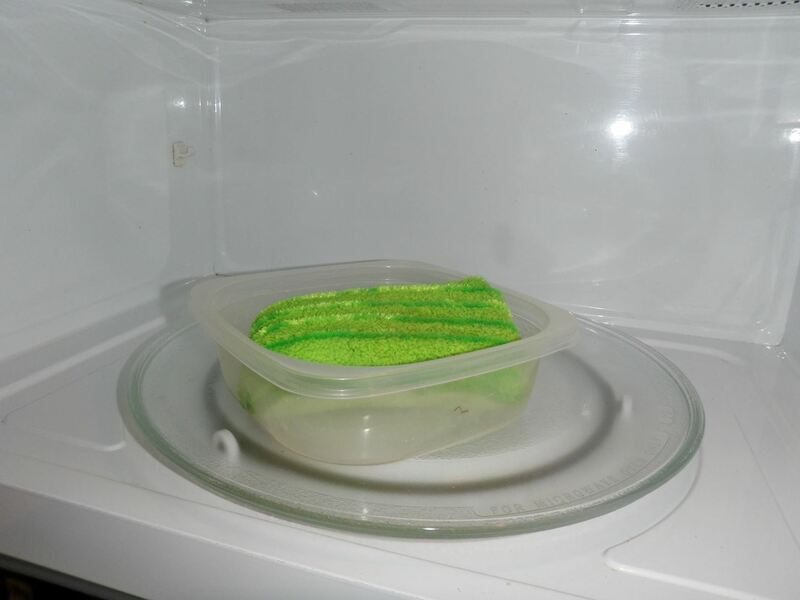 Quickly heating up your sponge in the microwave can zap bacteria, including E. coli, and refresh it for longer use. Just make sure the sponge is damp and free of any cleaners before you pop it in the microwave. A dry sponge can catch fire, while heating up a sponge that's been soaked in soap or other industrial cleaners could cause it to emit unhealthy fumes. Instead, soak your dirty kitchen sponges in water and a small amount of lemon juice or vinegar, both of which have anti-bacterial properties. Microwave them for up to two minutes on full power. The bonus is that the steam from the wet sponge will actually clean your microwave, too. So, now you're ready to start happily microwaving various objects in your kitchen and household. Be careful—some commonplace items you think can go in the microwave actually shouldn't. Boiling water in the microwave for tea or when you need hot water for a recipe seems like a natural instinct, but you should know that the phenomenon of superheating water, i.e. heating water past the boiling point without the water showing tell-tale bubbles, is real. Tap water, because it comes straight from the faucet, contains air, which allows it to bubble during the heating process, releasing built-up heat. It's harder for this process to happen with distilled water. 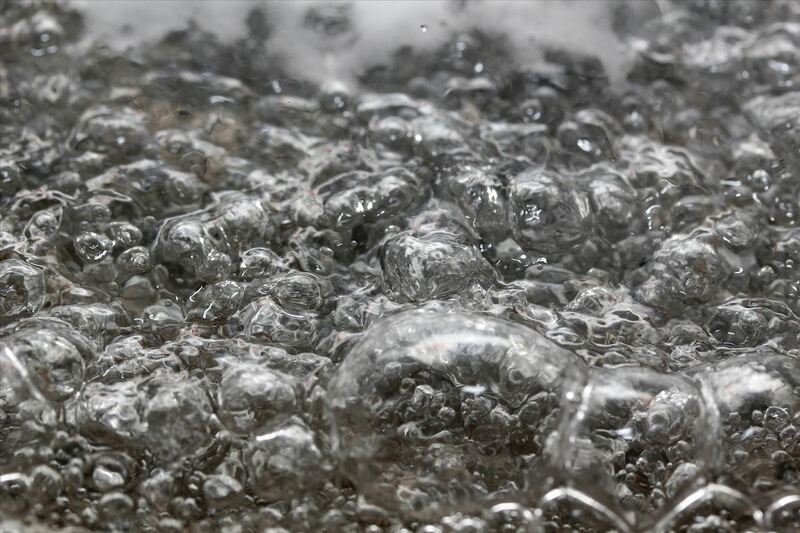 And if bubbles can't form during the boiling process, the water will become superheated. The second the container and its water are moved, an explosion occurs. Turns out that heating water in a brand-new cup or bowl can also contribute to superheating. 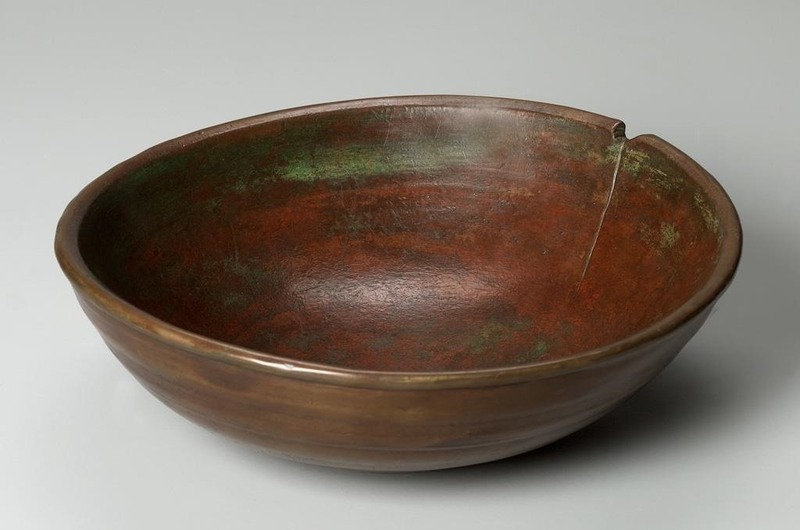 Older dishware usually has nicks or scratches, and these uneven surfaces help bubbles form and release heat. If you're really worried about superheating water, you can a.) stick with the stovetop, or b.) insert a non-metal utensil, like a wooden coffee stirrer or chopstick to break up the energy as it builds up in the boiling liquid. "In ordinary use, the electric fields inside a microwave are too low to generate plasmas, which are made when electric fields tear apart molecules into electrically charged ions. However, if you violate the manufacturer's instructions and run the oven with almost nothing in it to absorb energy, the microwave energy density and hence the electric fields build up far above the usual levels. In the process they may damage or destroy the microwave oven, so, unless you're rich, this is not a good experiment to try." 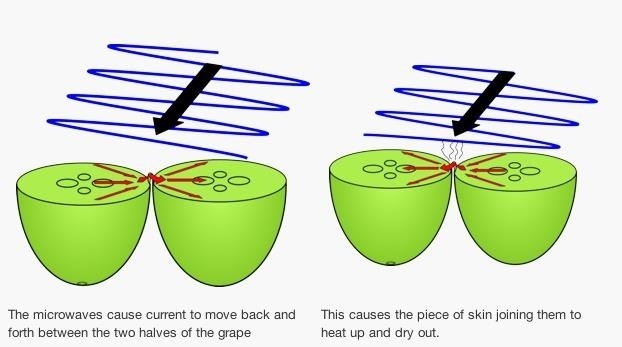 Grapes aren't the only produce that can have the plasma effect in the microwave. Some people report frozen vegetables, like corn and green beens, turning en flambé when microwaved. The same phenomenon's been reported with bananas and hot peppers, too. Turns out some very dense vegetables and fruits like the ones just mentioned are high in minerals like selenium, magnesium, and iron, which act like small pieces of metal in the microwave and cause arcing. 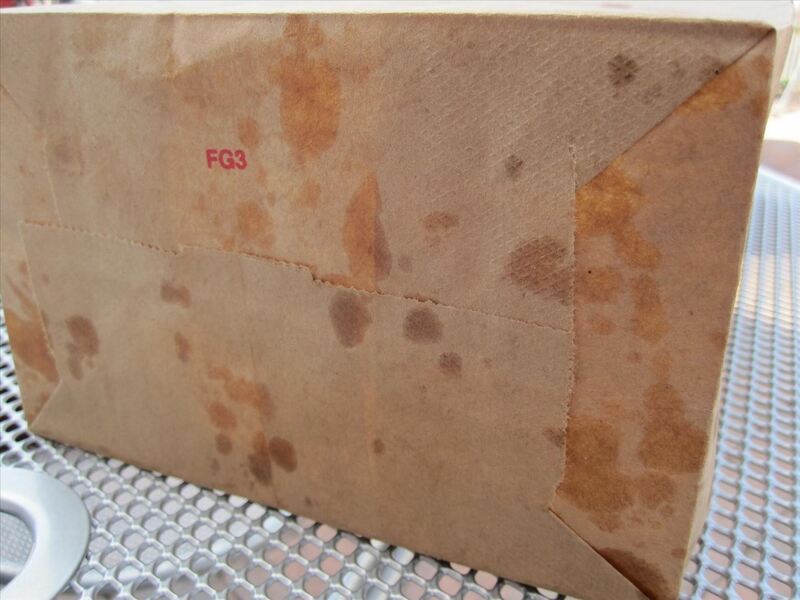 Some restaurants send your leftovers home in a brown bag, just like the ones your mom used to pack your lunch in. Yet you might want to think twice before popping your leftovers, bag and all, into the microwave. 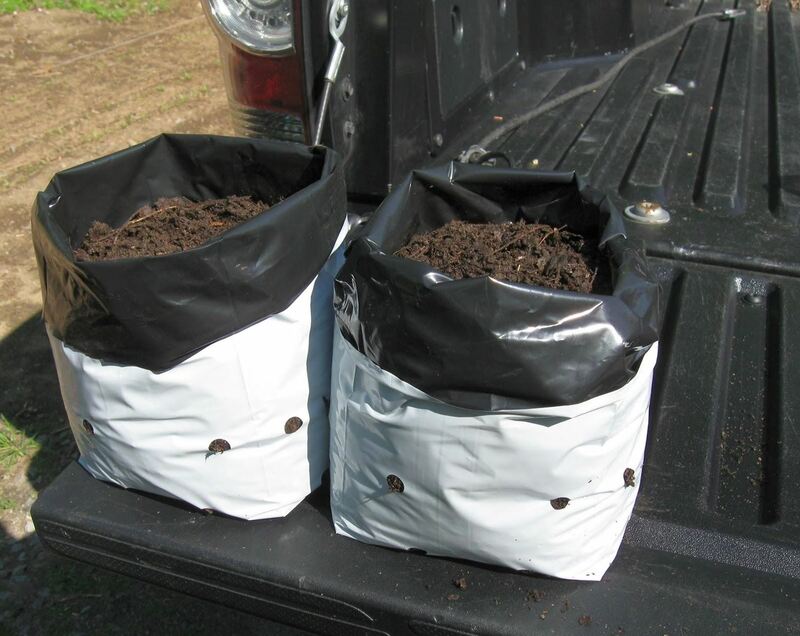 According to the USDA, the bags are unsanitary and the ink, glue, and presence of recycled materials may emit toxic fumes when heated. You're better off putting your leftovers on a microwave-safe plate. Placing whole eggs, either in-shell or hard boiled and peeled, in your microwave is a bad, messy idea. Rather than cooking eggs within their shell, or simply reheating a hard-boiled egg, microwaves turn eggs into splattered goo. 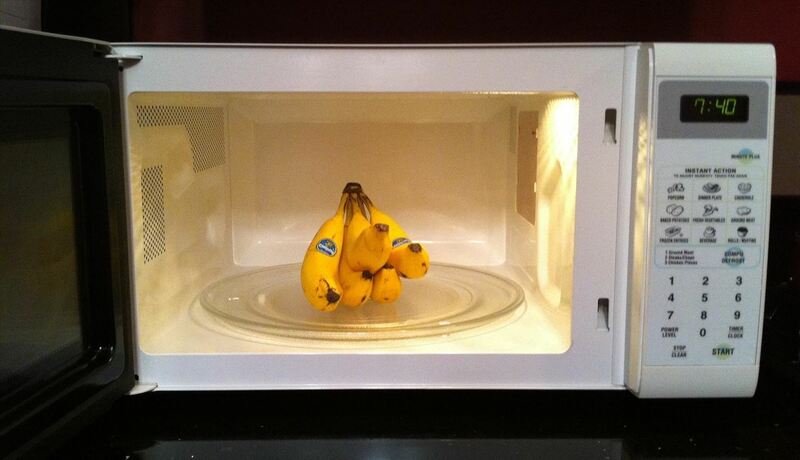 Remember, microwaves are heating up all the atoms in your food at the same time. 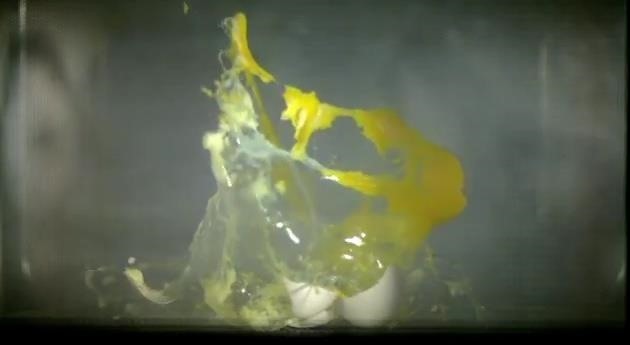 This process builds pressure within the "sealed" egg—and with no way to release that pressure, the egg explodes, which can cause injury and harm. Now that you know what to steer clear of, microwaves can be a source of creative science experiments. Your microwave can do almost everything, from melting beer bottles to creating cakes. For more crazy microwave ideas, make sure to check out Yumi's illustrated guide for 10 unusual uses. What innovative uses do you have for your microwave? Use new, smooth foil only. Wrinkled foil can cause arcing (sparks)." 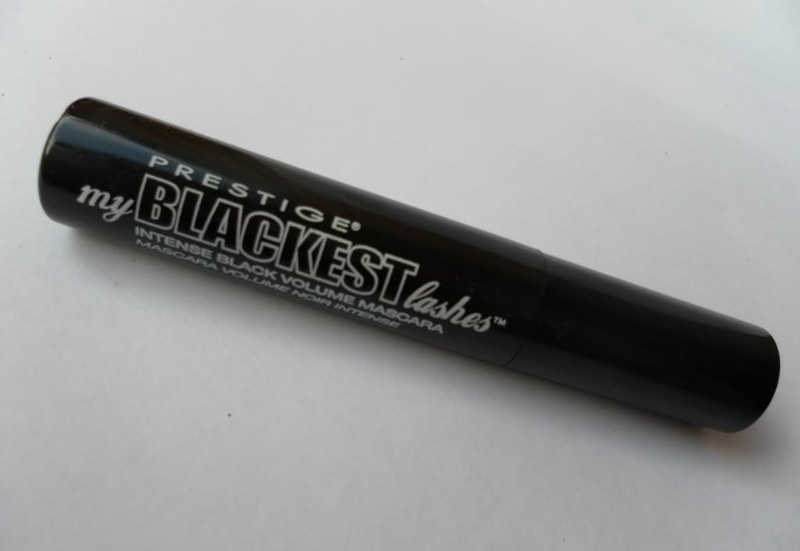 "Do not add water directly to the mascara tube and pump the wand to mix it. That's a surefire way to introduce bacteria into the tube and give you an eye infection." "Quickly heating up your sponge in the microwave can zap bacteria"
What is it about mascara that keeps bacteria alive? This guy put together a rather nice , informative post and all you guys do is complain. I for one enjoyed the read, thank you. By complain I do not mean serious complaints, I mean that there is no need to state little errors like that. out a lot of the water thinking it just had to be moist. I heated the sponge for 2 minutes and turned it into a rectangular doughnut. Since you can add time but not take it away I think it's best to just heat your very wet sponge for 1 minute then check the moisture level. Rewet it if necessary and continue.